We’re in an age where just when you think the simplest thing couldn’t be made any simpler, it is. Technology helps us to do things faster with fewer actions. From contactless debit cards, which take away the strain of typing out a four-digit pin, to Apple’s Siri who, when asked, can call your other half, tell you the weather forecast or give you a traffic update. 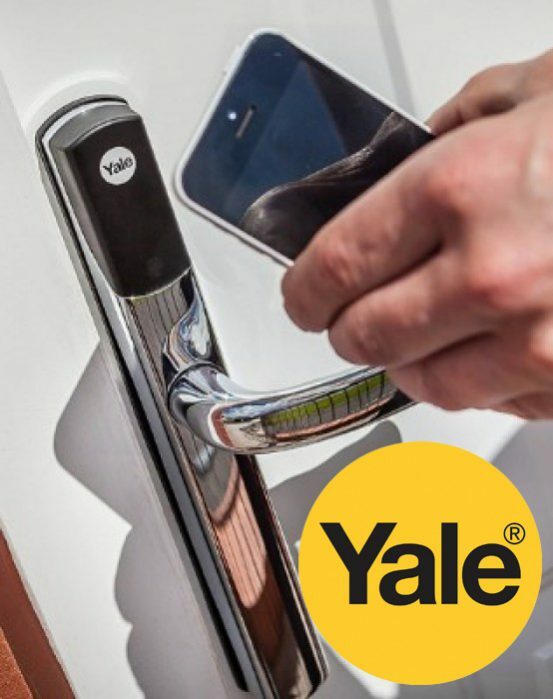 When it comes to locking and unlocking entrance doors, Yale has made the next step towards the future with its Conexis L1 smart door lock. It makes securing and opening doors really easy – from anywhere. It brings the future of door locking directly to smart devices for homeowners, giving them more control over who has access to their home. It’s a brilliant upgrade on the old Yale Keyfree lock and it’s so easy to use, which is why Shepley now offers Conexis on its entrance doors. The new keyless, affordable lock has so many great features which make it such a revolutionary locking system. It’s made something as simple as turning a key even easier, but added so much more to home security. Check out below some of the features that made it easy for us to choose Conexis L1 from Yale. Smart phones hold a lot of info for us. They let us know when we have an appointment so we aren’t late, they help us to measure our fitness through handy apps, tell us the latest goings on around the world and even let us pay for things through a quick swipe. Yale Conexis from Shepley has added another job to our smart phone’s ever-growing list of useful functions. No longer do homeowners have to worry about leaving keys under the mat, or getting multiple keys cut to give to family members. Conexis can be unlocked through Yale’s secure Bluetooth app. Using the app, homeowners simply hold the phone up to the lock and in they go. They can give up to 50 family members and friends access to their home and it isn’t just through the app. Conexis gives people the option to use a key fob, key card or phone tag. Unlike Yale Keyfree, Conexis users don’t have to type a code in. It’s either a simple click or a quick swipe and you’re home and dry. One of our favourite benefits of Conexis is the level of control the locking system gives users over who can access their home. A really great addition is the notifications feature. It allows homeowners to see when other family members have got home giving them that extra peace of mind that they’re safe. Conexis users can also limit the amount of time others can access their home for. It can be as little as a few hours or it can last for months. A very useful feature to let the neighbour in to feed the cats whilst you’re away on holiday, but also makes sure they can’t come in whenever they want when you’re back! If users need a few extra mobile keys, it’s easy to order them through the app. Conexis L1 is battery-powered and can last up to one year before running out of juice. There’s no need to worry about it suddenly running out. The lock plays an audible tune to warn that the battery is coming towards the end of its life and needs replacing. The lock is also backed up with a 9v battery connection port on the outside of the lock which can be used to unlock the door when the battery is flat. Any of the credentials can still be used even when the lock is being powered by the connection port. Conexis can also be linked up to the Yale smart home alarm system and Yale CCTV, for fully integrated home security. Yale Conexis is supplied fitted as an upgrade to Visage composite doors and PVCu entrance doors, so fitting is easy. 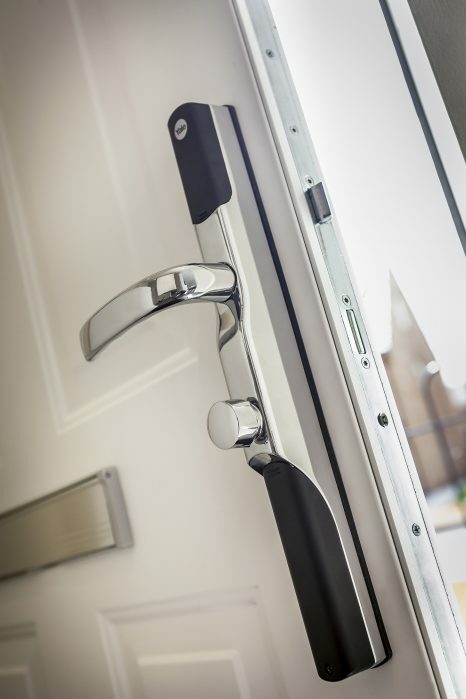 The lock has been tested and assessed to achieve the performance requirements set out by the PAS 24 standard so you can be assured it offers enhanced security. 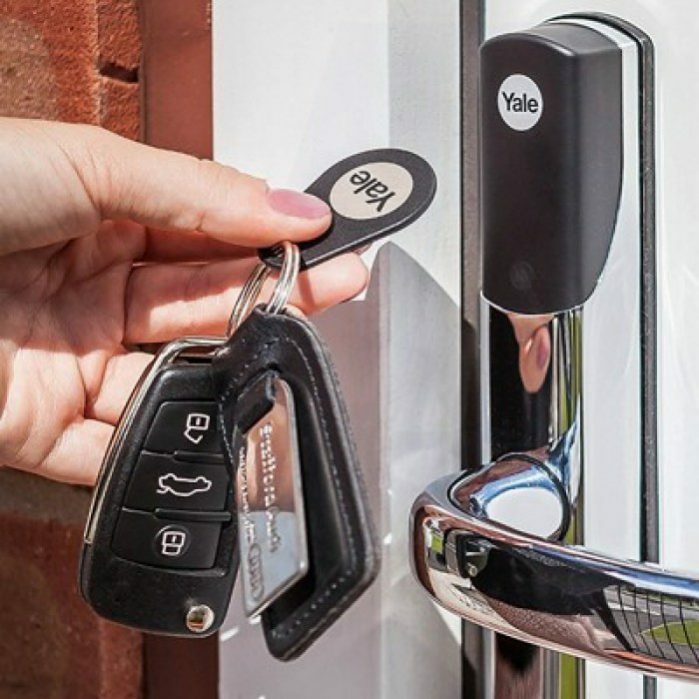 If you want to bring the future of locking to customers, make home security really simple and upgrade to Yale Conexis from Shepley, call 0161 339 2433.